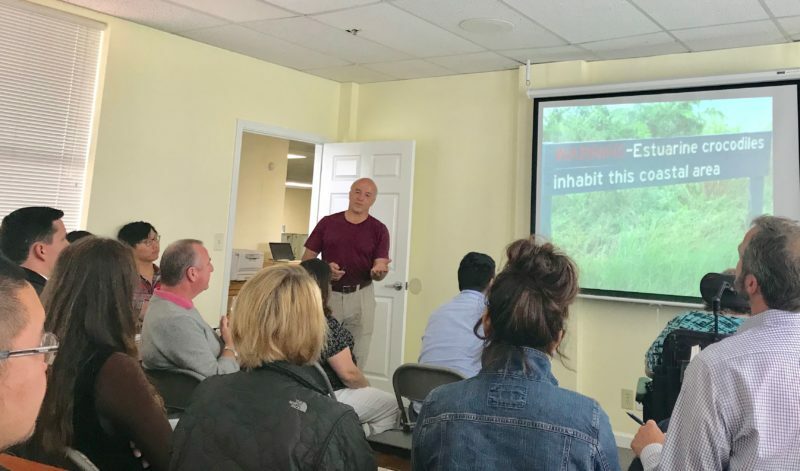 This week, MediaLocate hosted the great adventurer Erden Eruç for an inspirational talk about his incredible five-year journey across the globe, which included rowing, kayaking, hiking and cycling. Nine hundred and thirty four days at sea and 31,000 nautical miles later, he says he still has room to grow, planning to change the world one classroom, board room and conference room at a time. His mission: To set and accomplish big goals and to inspire and teach young and old that anything is possible. 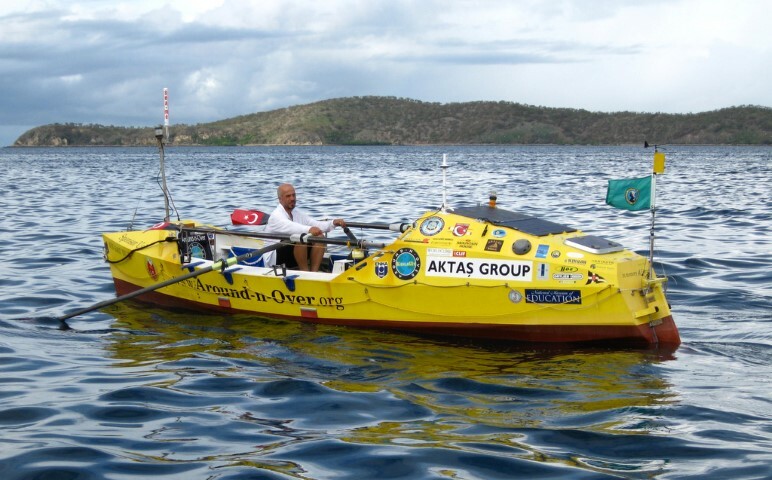 Erden Eruç is the most experienced ocean rower alive today. He holds 15 Guinness Book world records, including the first solo circumnavigation of the globe using only human power, which also earned him a Citation of Merit from the prestigious Explorers Club, so who better to give advice on setting and achieving big goals? The key is just to start: The only way to get over your fears is to simply start your journey. Don’t shortchange yourself. Small steps lead to big results. 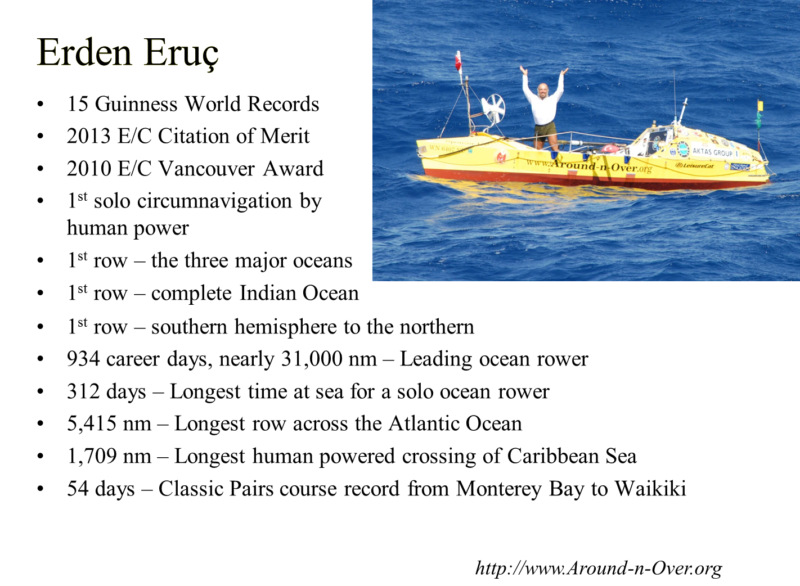 Erden rowed 23,473 nautical miles solo – that’s over 21,000,000 strokes. But he started small, with 900 strokes per mile. Success is not accidental: “What if” becomes “How” and “How” turns into “Problem Solved”! Trust the process, learn and correct yourself, one stroke at a time. Erden told us that it took the tragic and sudden death of his closest friend for him realize how precious and short life is and that there is no such thing as absolute certainty and safety. Through his many past adventures he has learned to overcome fear, uncertainty, and doubt (often shortened to “F.U.D.”) and to replace worry with actions. For example, he once spent many days kayaking off Papua New Guinea, in waters that were frequented by saltwater crocodiles. Fear was not helpful, so he framed fear as a concern and as a problem to be solved. He learned about the reptiles’ behavior and movement patterns and was able to minimize his exposure to them. 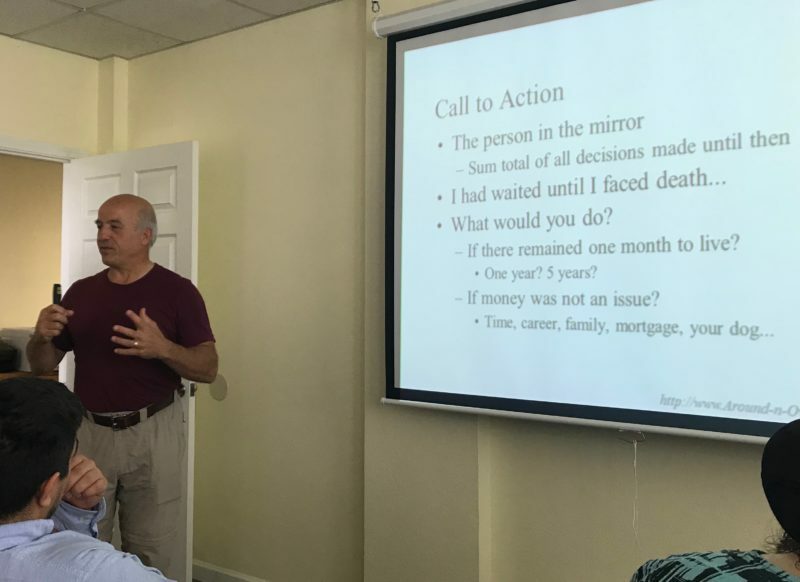 Erden says that when you look in the mirror, you see the total sum of all the decisions you’ve made in your past. The things we didn’t do shape our identities just as much as the things we did. What would you do if you had only one month to live? One year? Five Years? What if money, time, career, mortgage, … your dog were not issues? Changing your perspective on decisions can change your life and that of others. 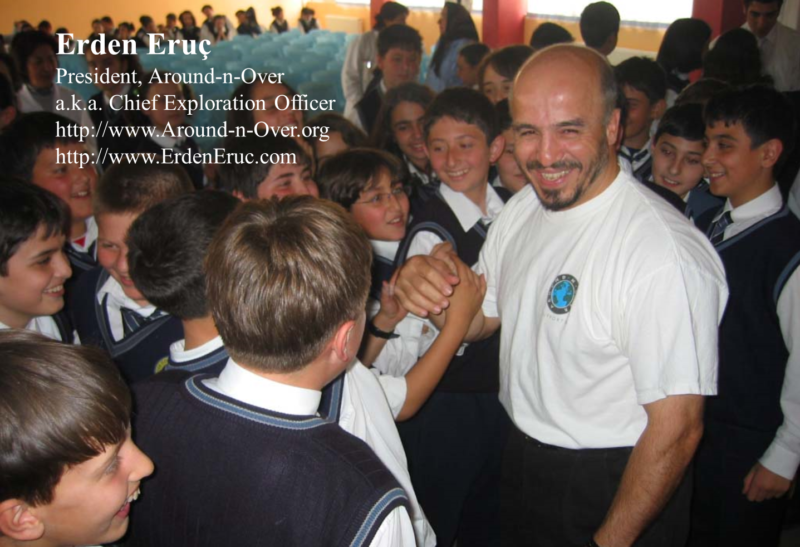 “… instead, become the servant to the journey and honor those who come into your life and enter your journey.” Erden routinely speaks to children and adults all around the world with a passionate message of encouragement, environmentalism, and achievement. It’s not just about breaking records, but about having an impact on others to effect positive change. To our surprise Erden said: “My hero is …. me,” but he quickly added: “… me, five years from now”. Striving to better yourself and the world around you is not a task to be checked off and completed, but a lifelong endeavor. At 56 Erden is far from resting on his laurels. He has his sights set on future challenges involving several new mountain conquests and ocean crossings, but first and foremost, he wants to use his achievements to continue to inspire young and old that if you dream big, plan carefully, execute with discipline and act without fear – anything is possible! 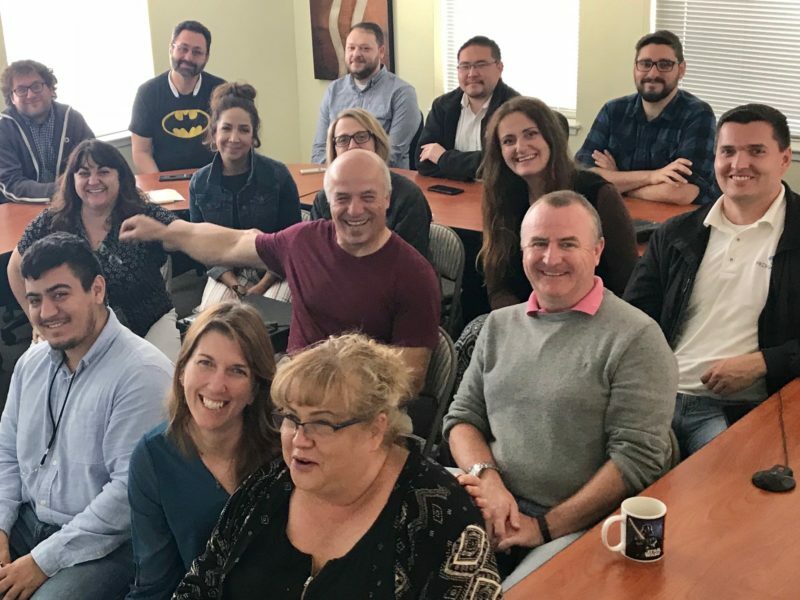 It was an honor to address the MediaLocate team.